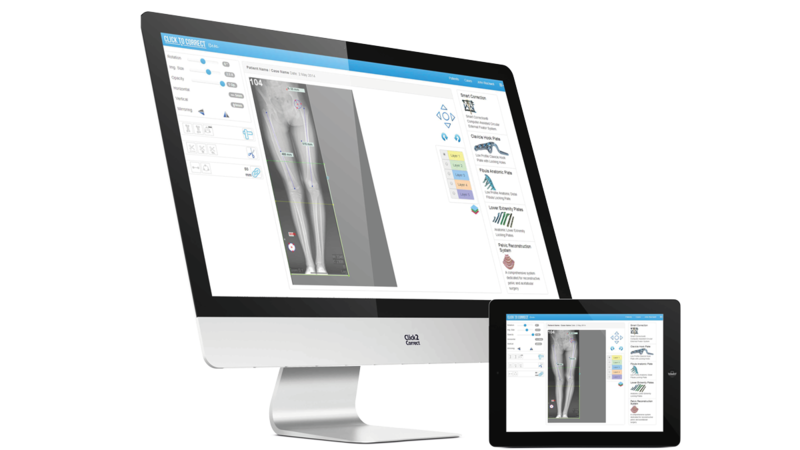 Click2Correct® is a preoperative planning and templating software for orthopedic surgeons to plan and simulate their expectation with the procedure. Surgeons can follow the surgical steps during the operation according to their planning. The application includes many different measurement tools for primery and revision arthroplasty, trauma, deformity, pediatric and spine. 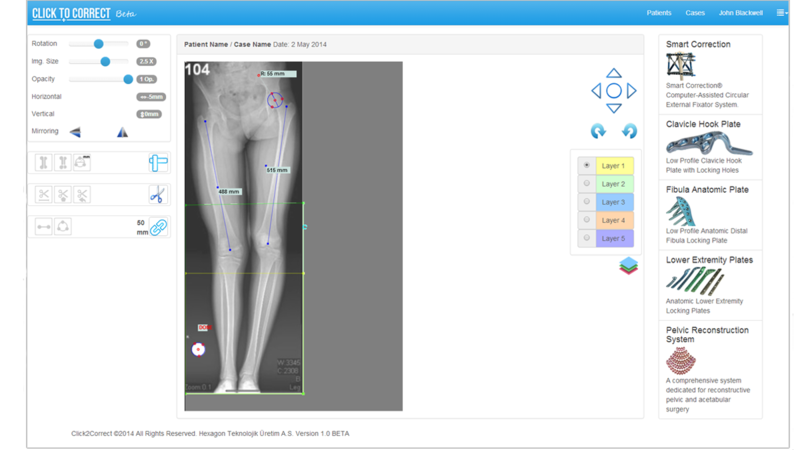 Using digital images on-screen offers to perform measurements and simulate osteotomies and fracture reductions. Simplified user-friendly interface provides short learning curve. Cut function allows virtual fracture reduction and/or deformity correcntion and all fragments/bone segments can be identified and marked easily. The identified fragments/segments can be positioned as expected to simulate the end result. Click2Correct is fully compatible for RPM* deformity planning method. Nothing to pay to use the system. To use the system, visit www.click2correct.com and register your self in seconds.